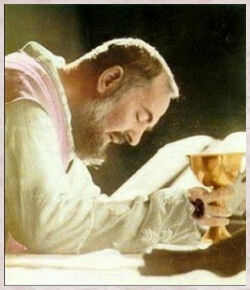 Padre Pio, according to Father Alessio Parente, OFM Cap, in his book Send Me Your Guardian Angel", had a extremely close relationship to his guardian angel. He also had ecstasies and during these ecstasies, Padre Pio's guardian angel would speak to him, laugh with him and Padre Pio in return would tease him. "...Angel of God, my Angel...are you not taking care of me?...Are you a creature of God?...Either you're a creature of God or a creator... You're a creator? No. Therefore you are God's creature and you have laws which you must obey... You must stay beside me whether you want to or not...He laughs..what is there to laugh about? Tell me one thing... you must tell me..who was here yesterday morning? ...and he laughs...you must tell me...who was it?...Either Father Agostino or the Superior... tell me then... was it perhaps their secretaries? Answer me now...If you don't answer me I will say it was one of those four...He laughs,...and Angel laughs!...Tell me then...I won't leave you until you tell me..
What an intimate relationship Padre Pio had not only with his own angel but also with Jesus and Mary! In the last part of the transcript is the following: "Jesus, will the evil one come tonight?...Well, help those two who assist me, protect and defend them... I know, you are there...but... Angel of mine, stay with me! Jesus, one last thing...let me kiss you...Fine!... how sweet are these wounds!... they bleed... but this blood is sweet... is sweet... Jesus, sweetness... Holy Host...Love, Love that sustains me...Love... until we met again! (a rivederci).."
and defense of me against the malignant attacks of all my enemies. Keep me at a distance from all occasions of sin. Today, this first day of October begins the month of the Holy Rosary. Never in recent history has our Lady of Fatima's message to pray the rosary been so urgent. In answer to our lady's call to pray her rosary for peace and the family, human life, marriage and religious freedom, the World Apostolate of Fatima urges us to pray the 54 Day Rosary Novena. 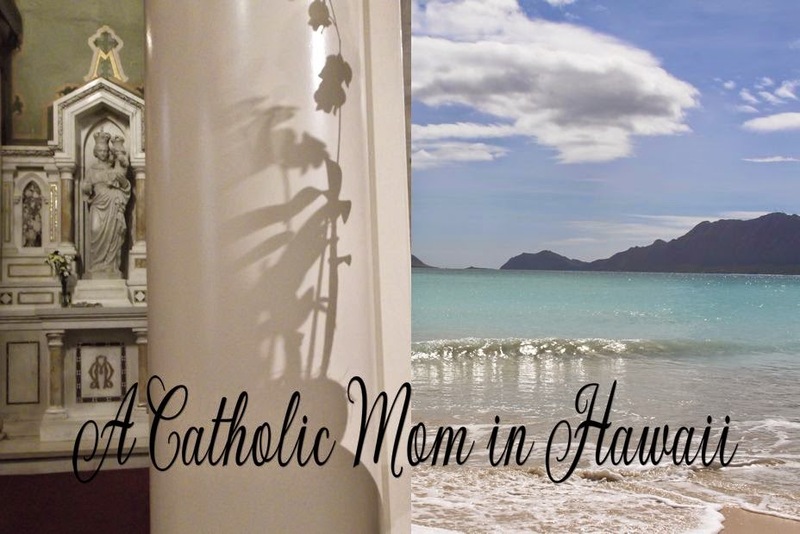 This novena began on September 29th, but you can begin today. In response to the spiritual crisis in our culture and nation, and to the U.S. Bishops’ call for prayer, please join us and members of all the partnering organizations throughout the country in praying the rosary daily individually or with your family, parish community or other groups. Please share this initiative with as many others as you can and ask them to do the same. 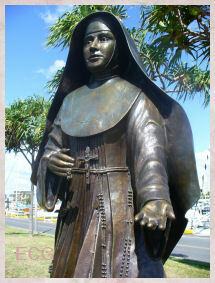 The Novena consists of 54 days in all: 27 days in petition, followed by 27 days in thanksgiving. The Novena Booklets are available in our online gift shop. Visit the website for more information www.54days.org. The World Apostolate of Fatima is also spreading the word on praying the holy rosary by way of bumper stickers available for your car. (see photo above). I have some bumper stickers available and will be happy to send you. Just email me your mailing address. My email can be found in the profile section on the sidebar. Let's HELP AMERICA PRAY THE ROSARY! from the tyranny of Satan. was cast headlong into the abyss together with his followers. the souls that have been destined for a crown of everlasting life. and the deadly breath of impurity and every form of vice and iniquity. they have laid profane hands upon her most sacred treasures. Both the above are from Magnificat. 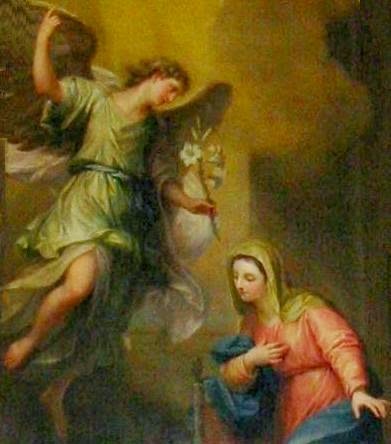 Zechariah, and the Blessed Virgin Mary. 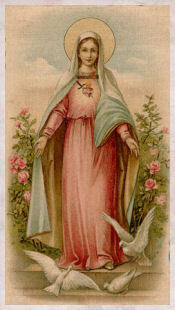 Give me a very tender and devoted love for the Incarnate Word and his Blessed Mother more like your own. 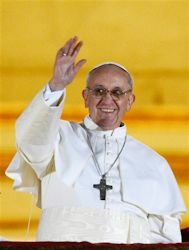 I ask for the grace of a special power of the will to strive for holiness of life. as you consoled our Savior in his agony and Mary in her sorrows and Joseph in his trials. I put my confidence in you. 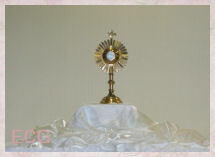 Saint Gabriel I ask you especially for this favor: (mention your request). 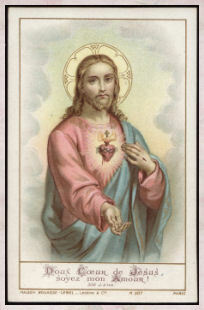 Through your earnest love for the Son of God made man and for his Blessed Mother I beg of you, intercede for me that my request may be granted, if it be God's holy will. Pray for us, Saint Gabriel the Archangel, that we may be worthy of the promises of Christ. Jesus, King of Angels, have mercy on us. Mary, Queen of the Angels, pray for us. 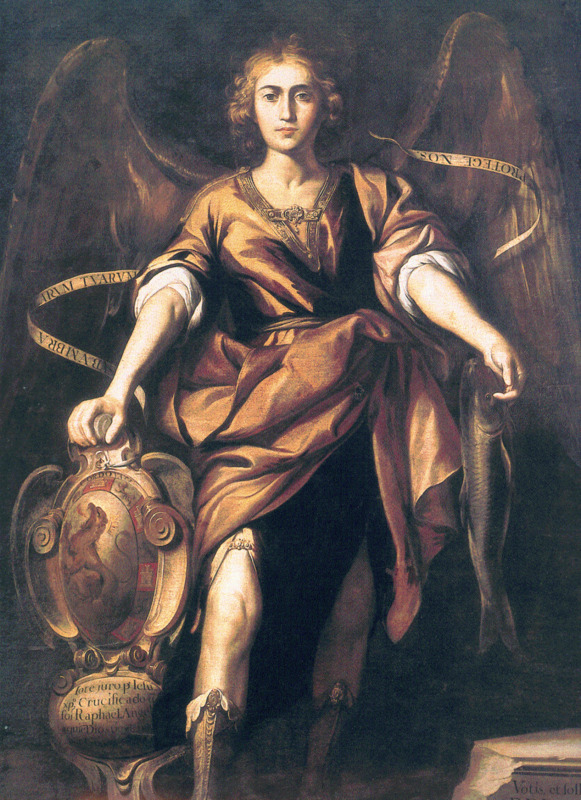 Saint Raphael, the Archangel, pray for us. Saint Raphael, whose name means "God has healed", pray for us. Saint Raphael, preserved with the good Angels in God's kingdom, pray for us. Saint Raphael, one of the seven spirits that stand before the Most High, pray for us. Saint Raphael, ministering to God in heaven, pray for us. Saint Raphael, noble and mighty Messenger of God, pray for us. Saint Raphael, devoted to the Holy Will of God, pray for us. 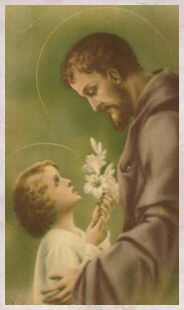 Saint Raphael, who offered to God the prayers of the father Tobit, pray for us. Saint Raphael, traveling-companion of the young Tobiah, pray for us. Saint Raphael, who guarded your friends from danger, pray for us. Saint Raphael, who found a worthy wife for Tobiah, pray for us. 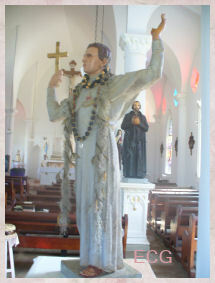 Saint Raphael, who delivered Sarah from the evil sririts, pray for us. Saint Raphael, who healed the father Tobit of his blindness, pray for us. Saint Raphael, guide and protector on our journey through life, pray for us. Saint Raphael, strong helper in time of need, pray for us. 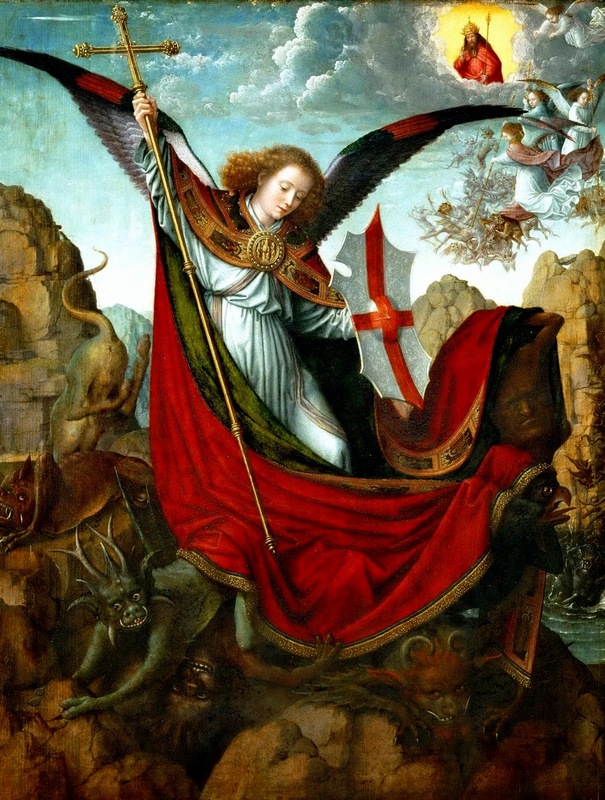 Saint Raphael, conqueror of evil, pray for us. Saint Raphael, guide and counelor of your people. pray for us. Saint Raphael, protector of pure souls, pray for us. 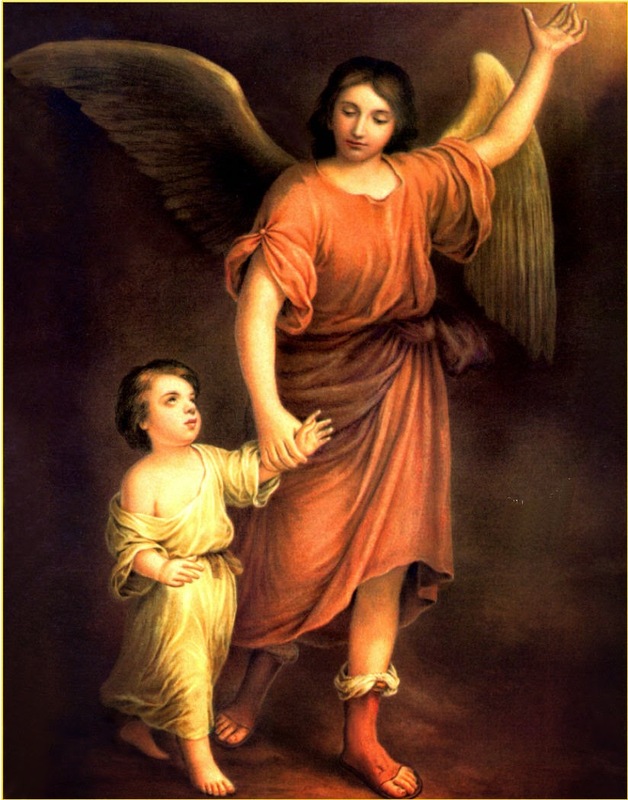 Saint Raphael, patron Angel of youth, pray for us. Saint Raphael, Angel of joy, pray for us. Saint Raphael, Angel of happy meetings, pray for us. Saint Raphael, Angel of chaste courtship, pray for us. Saint Raphael, Angel of those seeking a marriagepartner, pray for us. Saint Raphael, Angel of a happy marriage, pray for us. Saint Raphael, Angel of home life, pray for us. Saint Raphael, Guardian of the Christian family, pray for us. Saint Raphael, protector of travelers, pray for us. Saint Raphael, patron of health, pray for us. Saint Raphael, heavenly physician, pray for us. Saint Raphael, helper of the blind, pray for us. Saint Raphael, healer of the sick, pray for us. Saint Raphael, patron of physicians, pray for us. Saint Raphael, consoler of the afflicted, pray for us. Saint Raphael, support of the dying, pray for us. Saint Raphael, herald of blessings, pray for us. Saint Raphael, defender of the church, pray for us. God, you graciously gave the Archangel Raphael as a companion to Your servant Tobiah on his journey. 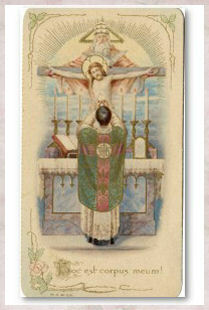 Grant us, Your servants, that we may ever enjoy his protection and be strenghtened by his help. We ask this through Christ our Lord. Amen. When the Roman Empire first regarded the early church as a branch of Judaism, Christianity was legally protected. Eventually the profession of Christianity became a crime, and the degree of persecution or tolerance wavered according to the whims of the reigning emperor and the local ruler. Increased martyrdom brought on the development of apologetics and theological precision in addressing controversy and fostered order in the life of the church. Sometimes Christians felt protected from state persecution, but periods of fierce official persecution were common. When Diocletian in 303 stepped up the Roman persecution of Christians, he perceived the church as a political threat, a state within a state, developing an establishment paralleling his government. He ordered churches destroyed, clergy imprisoned, sacred books confiscated, and rampant martyrdom of believers. Only in April 311 was an Edict of Toleration of Christians issued, and in 313 the Emperor Constantine promulgated the Edict of Milan, which granted freedom of conscience. When Constantine transferred his capital from Rome to Byzantium the spread of Christianity coincided with the spread of the Roman Empire. Desiring Christianity to be as united as the law and citizenship of the empire, Constantine convoked church councils to settle theological questions and disputes under imperial supervision. In May 325 the first general council met in Nicaea. 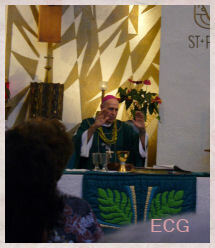 The bishops attended at government expense. 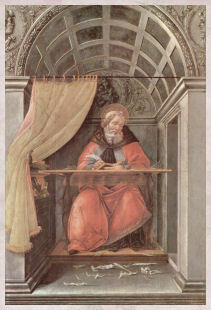 Constantine himself participated and took positions, advocating a universal creed. 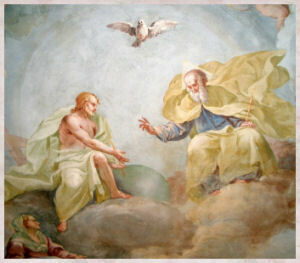 Following that first council the debates continued in matters of Christology, and imperial interference played a part. Any departure from official Christian orthodoxy was regarded as a state crime. Subsequent councils were called by imperial rulers with the expectation that a united religion would mean a united empire. But this backfired, and the opposite occurred. Schisms proliferated. By the close of the sixth century there was confusion and serious disaffection from orthodox Christianity, and consequently from the Constantinople government. In those parts of the empire where the churches did not accept the Council of Chalcedon (451), Christians were heavily taxed for disagreeing with the doctrines supported by the emperor. Some parts of the empire suffered abuse and persecution from Byzantine Christians. The invasion of the Persians into parts of Byzantium only aggravated the situation. With the seventh-century Muslim invasion, some Christians welcomed the Muslim Arabs, because often the Islamic protection was better than that of Constantinople or the Persians. With this new regime Christians were given a special but secondary status in society (dhimmi) which offered government protection. But there was a price to pay, a special tax (jizya), in addition to laws imposing constraints on dress and manners, and forbidding the riding of animals. The use of religious symbols in public was forbidden, and there were prohibitions against building or repairing churches, ringing bells, and the public display of crosses. Non-Muslims were not allowed missionary activity, and Muslims were forbidden to convert to Christianity. This two-tiered system made the Christians second- class citizens but allowed them to live peacefully side by side with the Muslims and others. But this millet system reinforced the divisions among churches and splintered Christianity. Some Christians succumbed to Islam rather than remain in a subordinate social standing. Yet Christianity thrived in many places, and Christians remained the majority in that region into the ninth century. In these times Eastern and Western Christianity became increasingly estranged religiously and politically. Western Latin Christianity was more strongly adversarial toward Islam. This resulted in the Crusades of the eleventh to thirteenth centuries. The Crusades began as a desire to free the Holy Land from the Muslims, but ended with the sack of Constantinople and the Eastern churches. Western Christianity oppressed the Christian East. Christian nations oppressed the Muslims. Because Islam did not recognize the separation of religion and government, the Muslims failed to see the difference between local Christians of the East and the hostile Western Christian governments that mounted the Crusades. Several Muslim dynasties ruled following the Crusades. The last was the Ottoman Empire, which established its capital in Constantinople (Istanbul) in 1453. The Ottomans reinforced the subordinate status of Christians and Jews through the millet system. The Ottoman caliph considered “Armenian” those Christians who rejected the Council of Chalcedon. This led to frictions and internal quarrels in the differing millets. In the latter times of the Ottoman Empire European nations opened commercial contacts in the Near East and Middle East. The European powers requested the right to protect their trading clients, often Christians. Different governments protected different churches, and this aligned Eastern churches with European political centers. Gradually this disrupted the millet system as European governments wanted equality of citizenship for Eastern Christians. With Islam, religion and government are joined in the service of God, and the same person usually provides both religious and civic leadership. The Islamic ideal is a worldwide Muslim community (‘ummah) in which politics and religion are one, and racial and ethnic distinctions are not important. The Qur’an and other Islamic religious books are the foundation for the legal system, and there is no institution parallel to the Church. Christian religious leaders always had difficulty convincing their Muslim rulers of their civic loyalty because they also wanted to be in contact with the foreign religious hierarchy. The protection by European governments increased the doubts about the civic loyalty of Eastern Christians. With the demise of the Ottoman Empire after World War I, European nations assumed mandates in some parts of the former empire to form nation-states in which citizenship would be based on one’s place or residence or birth rather than on religion, and in which religious organizations would be free from government control. This was in opposition to the ideal of ‘ummah, the united community under single governance with economic, social, and legal practices based on religion. Today these two opposing views are still in contention, and vie for acceptance. In the Middle East we find as much diversity among governments concerning church and state as in the West. Eastern Christian minorities still struggle for equality of citizenship. The attached article appeared in the The Flyer, quarterly newsletter of St. Joseph of Cupertino Parish, September 2014, page 2.